Ballet Dancers - How to learn more? I'm new to your site but I love every thing i have read it has really helped me.... I'm only 13 and have been dancing for 10 years.... BUT I WANT TO LEARN MORE!!!! I LOVE TO DANCE... it truly is my passion.. So i was wondering if you just have any plain blank tips on how to become a better dancer Oh and p.s if you have any tips on how to get my leg higher in an arabesque that would really help to. To:- Ballet Dancers - How to learn more? Thank you for your delightful query, it is a pleasure to hear from you. It brings me such joy to know my website helps others, thank you! I absolutely love your enthusiasm, it is great! 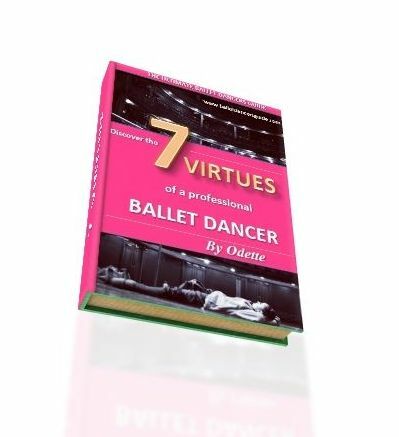 All my most important tips to become a better dancer are in my Seven Secrets, on the 'Seven Secrets of Ballet' page. So make sure you follow these carefully! If I was to give you one extra tip, it would be to enjoy dancing. Always remember to enjoy dancing, otherwise it is not worth it. Never loose your passion and enthusiasm to dance, as this is very special and no one can teach this to a dancer. A credible work ethic is also a key element in progressing as a dancer. To get your leg higher in an arabesque, I would suggest to place your leg on a barre in arabesque to help increase the flexibility. But remember you also need strength to gain flexibility, so as your dancing gradually strengthens you will see your legs higher and more flexible.